Looking for an easy and inexpensive way to entertain kids while traveling? These busy bags for kids on a plane are great. Filled with snacks and entertainment, these busy bags will keep kids busy for most of the flight. My kids love carrying their own luggage on the plane. I always carry my laptop with me while traveling and my kids got a kick out of carrying their own little busy bags too. It is great to have options to keep kids entertained on a plane. Purchasing entertainment on the flight can get expensive. I am also all for my kids playing on the Kindle Fire too, but it is nice to have options. Especially on the long flights that we have experienced from Seattle to Orlando. 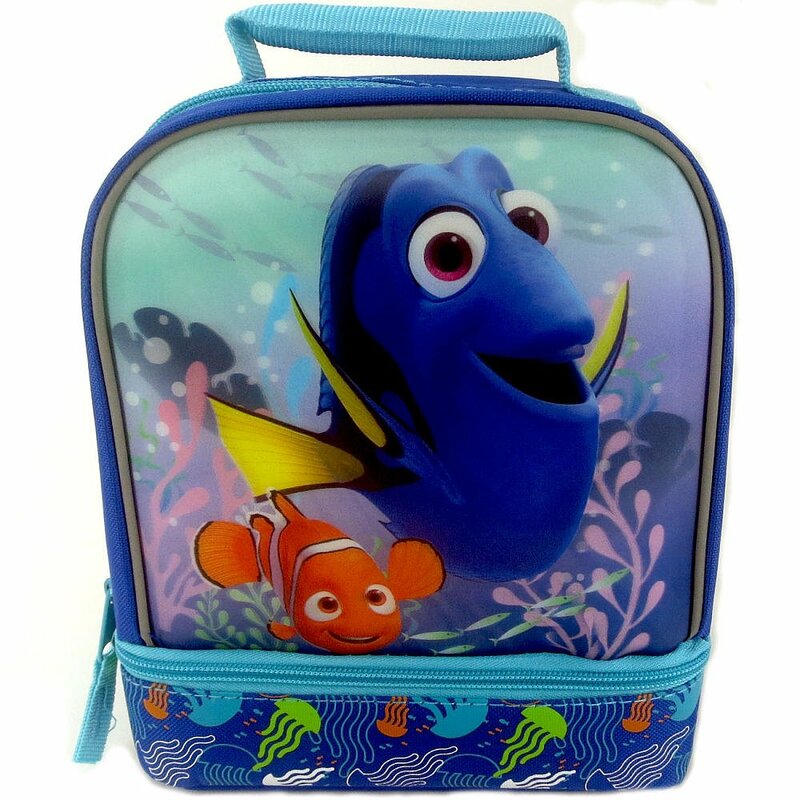 To create our busy bags for kids on a plane, I purchased an inexpensive Finding Dory themed lunch box. I like the ones that have two compartments. Makes it easy to pack one with snacks and one with entertainment goodies. Snacks that have the least cleanup are best. I don’t recommend anything like crackers, outside of goldfish, because they really can cause a mess. The protein bars are perfect for helping keep the kids full while traveling during meal time. CLIF KID ZBAR PROTEIN is perfect for packing. I would say to avoid packing anything peanuts. I do this because I know people who have kids with peanut allergies and really struggle with flying due to this. Sometimes even the leftover oils on the trays can create issues. I know people shudder at playdough and you’re saying, “Didn’t you just say to not make a mess?”. I did. However, I’ve found the small containers do pretty well in keeping together. Use discretion though. If your kids aren’t great with playdough, leave it out for something else. Make it fun for the kiddos. Throw in things they like. For a long flight, these will come in handy. They are even great for keeping kids busy during a road trip. Plus, it gives them something extra that is personal. Safe travels and have fun! For more travel tips with toddlers, check out Road Trip Travel Tips for Toddlers.